There’s been a rake of new apps hitting the market recently, but what are the coolest ones? These are two of the coolest apps around at the moment; try them out and see if you agree. You might have thought that Angry Birds was past its sell by date and that it was no longer cool, but just as its coolness seems to thaw a little, a brand new edition comes out that is even cooler than before. The latest version of Angry Birds is Angry Birds Space. The pigs are now space pigs and a giant claw has captured the eggs. The birds end up in a wormhole (which is really cool if you think about it, in the real world it is usually the other way round – work it out) and drift off to a different region of the multiverse with 60 different levels. Some of these are free of gravity, which is a whole new challenge. With Angry Birds Space the guys at Rovio have produced another new hit and the super-cool app is available for all the usual platforms. Companies are also creating their own apps so customers can view their products on the move. A recent app which has been created is the motors.co.uk app which provides a wide range of second hand cars for sale. Draw Something is another app that has been around for some time but it is still quite cool and it is a winner of the 2012 Flurry App Spotlight Awards. It has been downloaded over 100 million times and there is a free version supported by ads and a much better pay for version that is ad free. The game resembles the drawing games that we used to play in primary school so it is not too challenging; however it really is a lot of fun. It is a two player game. You draw a picture representing one of three words and the other player has to guess what it is you have drawn. If she gets it right she receives rewards which can be used to buy more colours for drawing and bombs. The player who is guessing sees more than the finished picture; she sees a complete replay of how the drawing was made including any hesitations and corrections. To help her guess she will receive a number of letters from the word and blank spaces which she must arrange and fill in. What are your favourite apps at the moment? Android Hits Back With Iris To Beat Siri! The drawing application look awesome! 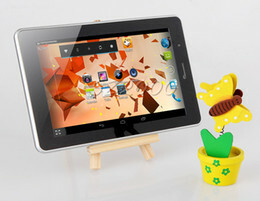 It is the old time classing drawing game but in modern, high technological advanced smartphone! I just got this article, and I’m very interested, although I only a little understand about SEO. I also ever got related article in blogs. I think it is useful for me and will improve my knowledge. Wao. I am very fond of such type of coolest app. Now i must try these apps. Thanks for sharing. I really liked the new Angry Birds game (Space). Finally adds something new to the mix. I think “Where’s my Water?” is pretty cool too, and should be given more credit. My all time favourite game remains Doodle Jump. Seriously, it is insanely addictive. Everyone seems to love Angry Birds either on a smartphone or on their PC. I have to get this app downloaded again, it’s a nice way to pass the time. Angry Birds wins the coolest app award hands down IMO as long as there is new updates like space ect i think it will be a game for a long time to come. Like all viral games it will come to a end and something will take it place but either way incredible game. Angry Birds Space!!! Uh oh, I can see all my free time slipping away. Gotta find out if there is a PC Version.